Most locking systems are single-point locking systems, which is to say they lock into a single plate on the frame of the door. 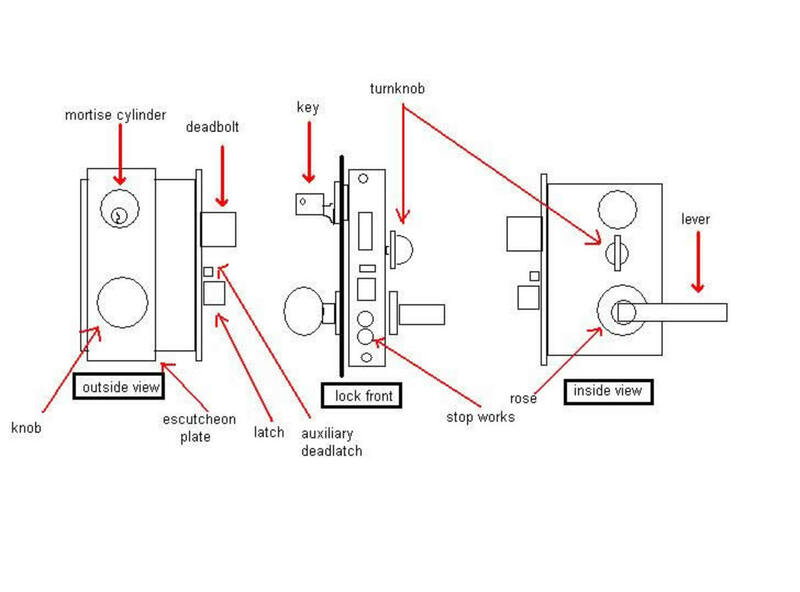 Single-point locks include most cylindrical, tubular, and mortise locks. 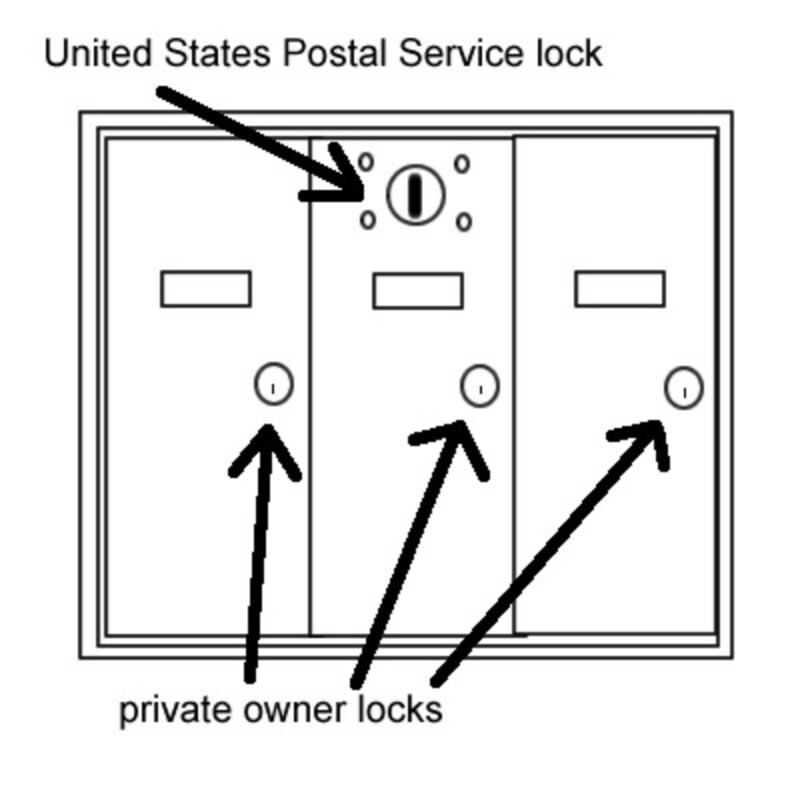 An apartment door might have a two-point locking system such as a keyed cylindrical lock and a keyed deadbolt on the same door, but these kinds of locks only secure one side of the door. True multi-point locking systems secure two or more sides of the door. Following are some examples. 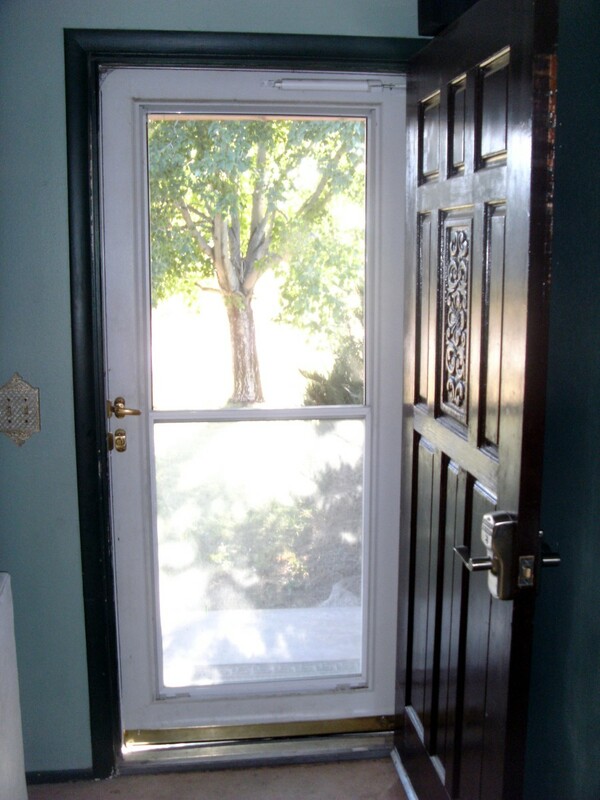 Entry from outside by key if exit device trim and rim cylinder is used. 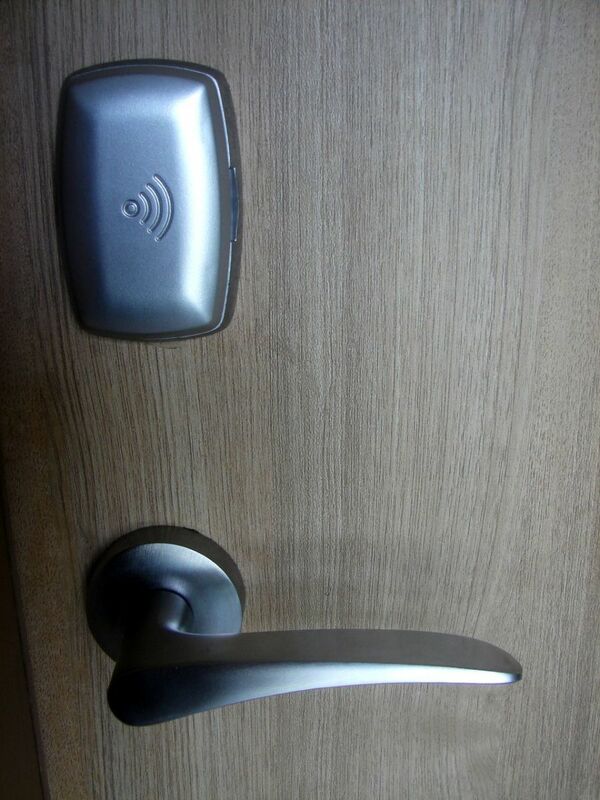 Securitech, of New York, manufactures a wide variety of multi-point locking devices. Shown below right is the MP-4800 series multi-point police lock, available in 2-point, 3-point, and 4-point locking versions. 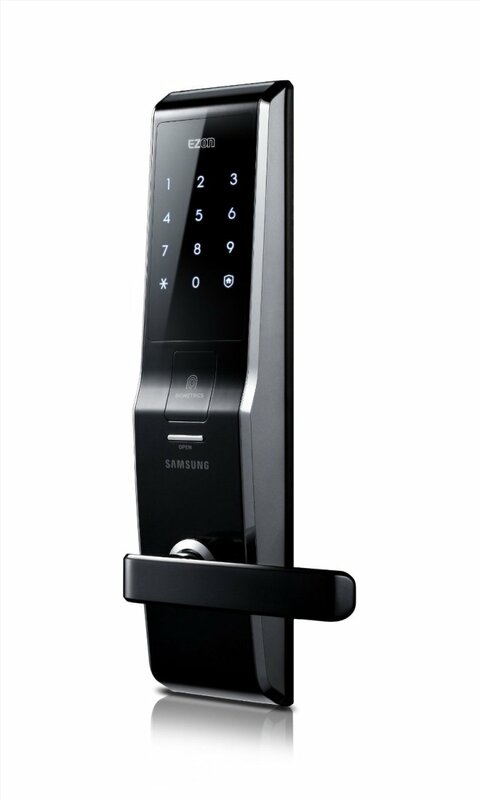 Can be locked or unlocked by cylinder from outside, turnknob (or cylinder) inside. Heavy duty cylinder guard available. Door status and bolt status monitor switches available. A 4-point MP-4800 series lock with Hard Guard cylinder guard starts at less than $600 retail. See their web site (link at end of article) for information on the rest of their multi-point locking devices. Sargent makes the 7000 series lever lock (second picture, above right) with concealed vertical rods that locks the door top and bottom on the lock side and a 3-point mortise lock (not shown) called the Triad mortise lock that locks the door at the top, middle, and bottom of the lock stile. 7000 series available in four different functions and multiple trim styles and finishes. Electrified trim available. The 7000 series starts at about $2,200.00 retail. The Triad starts at less than $800 retail. 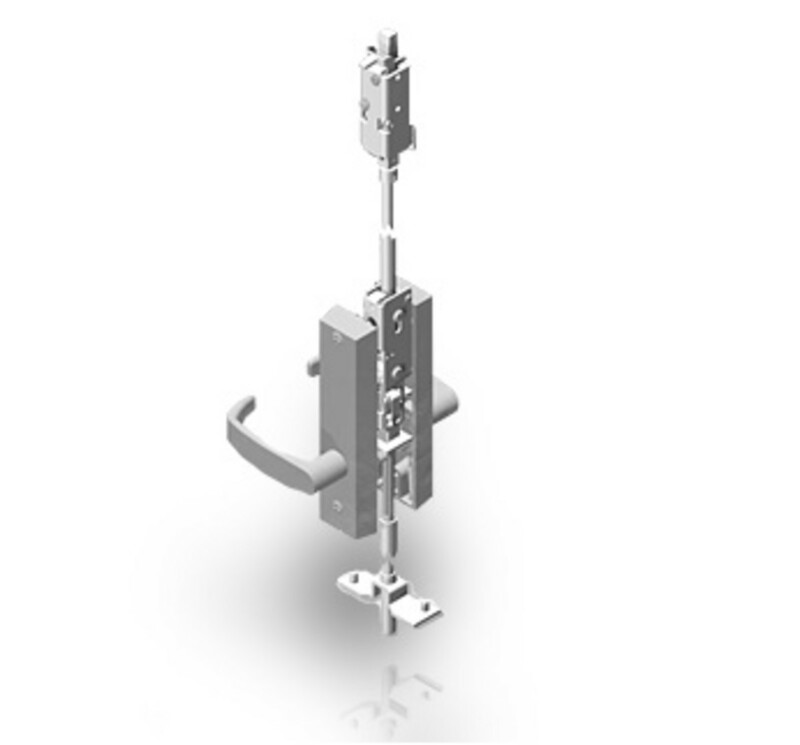 Mul-T-Lock, based in Israel, offers a wide variety of multi-point locking systems primarily for installation inside new wood or hollow metal doors. Pictured above right is the 415G series heavy duty multi-point mortise lock for hollow metal doors. Like Securitech, Mul-T-Lock offers a wide variety of multi-point locking devices. 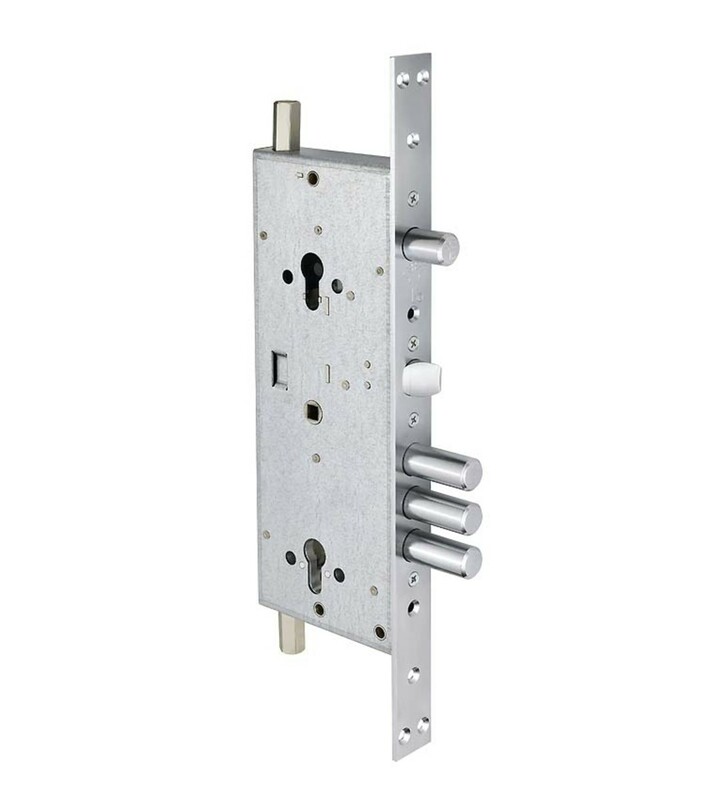 The 415G as pictured on the Mul-T-Lock Israel web site features 15 locking bolts: 14 locking into the door frame and one each into the header and the threshold. Mul-T-Lock offers their patented high security cylinders for extra security. Arm-a-dor exit devices start at less than $1,000.00 retail. An excellent result. Thank you, Handyman! I do home repair and remodels and I have a homeowner that just had their house broken into. They want to upgrade their door and locking mechanism. This article gives some great ideas.